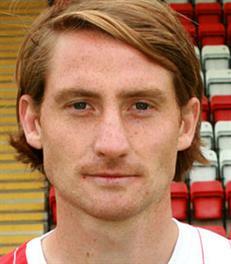 James McQuilkin originally joined up with the Harriers for an initial one month from Hereford Utd. The diminutive midfielder plays out wide. Born in Northern Ireland he started his career started at West Brom before being released to join a Czech side called FC Tescoma ZlÍn and then on to Hereford in July 2009. He was a regular for them in his first season at Edgar Street but fell out of favour towards the end of his fourth season with them and was released to join Walsall. He has since played for a variety of clubs before re-joining the Harriers from Hednesford in November 2015.